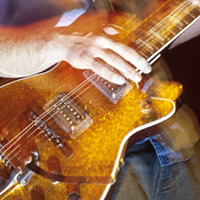 "Whiskey and Roses" is a rockin’ country music and rock classics cover band. We cater to: Casinos • Clubs • Weddings • Corporate Events/Private Parties. "Whiskey and Roses" features talented and professional musicians who have performed before large and small audiences in all types of venues. We feature Modern Rockin’ Country music, but we also play some of the favorite classic country and rock hits from the 60′s to the present. If we are given 6 weeks notice we can tailor the show to your specific event. "Whiskey and Roses" is sure to provide high energy and professional entertainment for your event or venue. We are a high energy, fun, entertaining outfit. Simon began life playing violin in grade school and ultimately switched to bass. Simon played a lot of funk in Seattle clubs back in the day, but ultimately found his calling in "Whiskey and Roses". Ted has been an active drummer since he was 12 years old. Ted continued pursuing his love of music, finding work with local rock and roll, blues and country music bands. When the 80’s rolled around, Ted and his wife moved to the Midwest, where he played with a touring band doing music from the 50’s and 60’s. As an active band, they performed in many states, including Iowa, Nebraska, Colorado, Montana, New Mexico and Kansas. When Ted’s son arrived in 1987, the family returned to their home in Tacoma, Washington. There, you would find Ted playing drums in clubs on weekends, as well as doing studio work for other bands in the area. In his extensive experience sitting on the drum throne for more than 40 years, Ted has enjoyed many styles, from hard rock and classic rock to classic and modern country, with a bit of rockabilly and blues thrown in for good measure. That includes about five years playing with Simon on bass and Kevin on guitar. Together they make an experienced, strong team. During her college years at Pacific Lutheran University Marnie took a few voice lessons just for fun, while getting her degree in elementary education. After graduating from PLU Marnie started singing in weddings. During the 1990’s Marnie began to sing more country music, often being compared to Patsy Cline. In 2003 Marnie joined a local Seattle area choir called “Choral Sounds Northwest.” She sang with this group for a few years and had featured parts and solos. At one show she portrayed Carrie Underwood singing “Before He Cheats” in a musical skit spoofing American Idol. After she participated in that skit Marnie realized that she wanted to pursue singing country music in a working band. For a shout time Marnie sang with another Seattle area choir, “Cantare Vocal Ensemble”. This small classical choir performs very old classical works at St Mark’s Cathedral. While singing with Cantare she had the opportunity to sing at Benaroya Hall in Seattle several times. In both 2009 and 2010 Marnie had the opportunity to sing in Carnegie Hall with a choir from the Seattle area. This 200 person chorus, alone with a 100 person orchestra, performed the collective work “Sing for the Cure” to raise money for cancer awareness and research. Marnie joined Whiskey and Roses in the Summer of 2011. Sherri started singing at a very early age. While Sherri was a first year vocal student she performed an aria from Handel’s Julio Cesar; Vadoro Pupille, and she received the highest rating a student can receive. Sherri joined her first professional band, a group called Northwest Passage, in Tacoma Washington, where she shared lead vocals with vocalist June Jackson. Following three years of singing lead in a fulltime working group, Sherri pursued other interests, and then became a contracted civilian vocalist for the US. Air Force Band, which was previously located at McChord Air Force base. Sherri received written commendations from the US Air Force Band’s commander for outstanding vocal performances while singing as their Rock Band’s featured lead vocalist for over one month. During her month-long tour with the US Air Force Band of the Pacific Northwest, she performed at many sites, including the Puyallup Fair, the Apple Blossom Festival in Wenatchee, and other various locations. Sherri then formed a rock group called Face First, a group consisting of professional Air Force musicians with whom she worked during her time as a professional vocalist with the US Air Force Band. As a boy growing up in Denver, Andrew got his first guitar in 5th grade. He took lessons from a neighbor, and he soon knew a few of the old folk standards. Rock ‘n roll tunes followed, and Andrew enjoyed entertaining family and friends with his youthful enthusiasm. During high school he worked hard and saved his money to buy an electric guitar and small amp. At the same time, though, he shared much of his time with sports (football and wrestling). By the time college came along, the electric guitar had been mostly replaced by a new interest: an acoustic 12-string, which he played often. Andrew found great enjoyment singing and playing in small bars and coffee houses, doing acoustic-rock and country rock inspired music. After college it was time to journey to the Great Pacific Northwest, for law school in Seattle. After many years of various musical endeavors, Andrew has found a home with Whiskey and Roses, sharing vocal and guitar duties with other high-caliber musicians. With his love of performing, Andrew has developed a wide range of musical tastes and styles, from classic rock and roll to modern rock, and including blues, country rock, and classic country. When the lights go on, Andrew is always ready to perform. We require a covered stage (if not an indoor event). Minimum state requirement is 12' x 20'. Power requirement is at least two independent circuits consisting of at least 8 outlets each. THIS IS A SAMPLE OF OUR SONG SELECTION! Thirsty – Hank Williams Jr.